This beautiful chair presents a wonderful seating space for your dining space. Crafted from poplar solids and birch veneers, the counter height chair showcases a comfortable seat upholstered with ivory tweed chenille. Completed with a traditionally-styled full back and turned front legs, this vintage chair is perfect for your timeless dining setting. 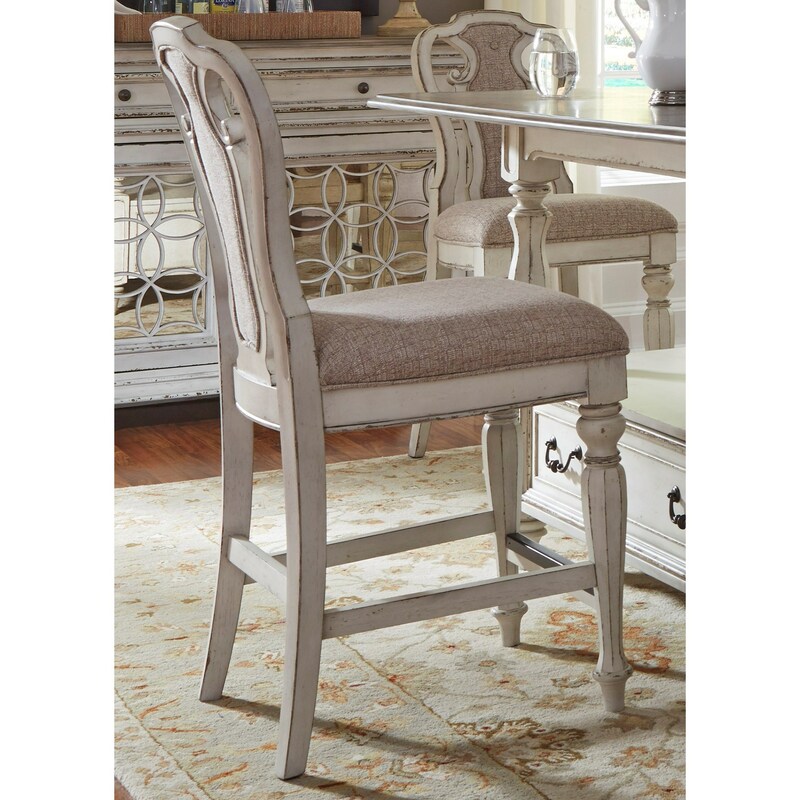 The Magnolia Manor Dining Splat Back Counter Height Chair with Upholstered Seat by Liberty Furniture at Miskelly Furniture in the Jackson, Pearl, Madison, Ridgeland, Flowood Mississippi area. Product availability may vary. Contact us for the most current availability on this product.